Rope Ratchet is the answer to all your dipole, guy wire, tie downs, hoisting and erection needs. Attach the 2 hooks and pull the loose end of rope to secure a tight hold. Locks in place as you pull loose end. To loosen: Reduce tension and push thumb release. You can use our own rope or tie onto the hook. Rope Ratchet is made super tough to take all the hard work you do. The outer casings are made from #6 – 33% Glass Filled Nylon with interior mechanisms of Die Cast Zinc. 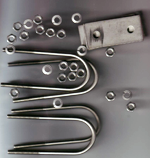 The rope is Solid Braided Polyester or Polypropylene and the hooks are Zinc Plated Steel. When using the ROPE RATCHET, carefully evaluate actual work load prior to use. Do not exceed load limit of Ratchet or Cord. Inspect Rope and Ratchet BEFORE each use. DO NOT USE if damaged. 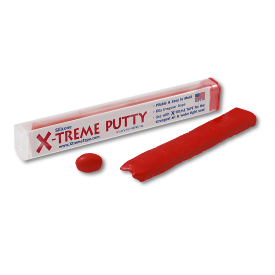 Avoid sharp edges, pinch points, abrasive or hot surfaces. Thimble 1/2 1/8” Zinc Plated Steel Thimble. 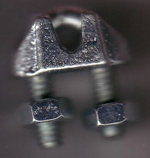 3/16” Zinc Plated Steel Thimble. ¼” Zinc Plated Steel Thimbles. 5/16” Zinc Plated Steel Thimbles. 3/8” Zinc Plated Steel Thimble. DOB2 2 1/2″ Ceramic Insulator 13/64″ holes $1.50 each. LW-1 1 1/2″ dia. x 2 ¼” Porcelain Egg Insulator 1/2″ holes $2.00 each. 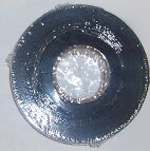 EPG-1 2 3/4″ X 1 1/2″ Ribbed grey plastic Insulator 15/64″ holes $2.00 each. EGS1 1 1/4″ Green Ceramic Insulator 1/8′ holes $0.50 each. EWS1 1 1/2″ Small Ceramic Egg Insulator 3/8″ holes $1.25 each. 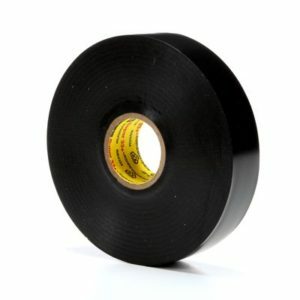 BD-1 2″x 1 1/4″ Black Delrin Egg Insulator $1.00 each. UNIDILLA 4:1BalunW2AUMatches 50-75 ohm coax to 200-300 ohm balanced, Folded dipoles, Broadband :1.8-40mhz, 2000 watts PEP, Voltagebalundesign.1.5” X 6” long, only weighs 6.5 ounces, With stands 600 lb pull. 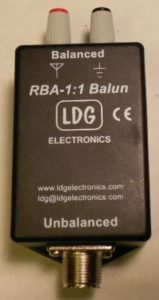 LDG 1:1 CURRENT BALUN. USE ON LONG, RANDOM, OR LADDER LINE ANTENNAS. 200 WATTS PEP, 1.8 TO 30 MHZ. WEATHERPROOF ENCLOSURE. CAN BE SEALED FOR WATERPROOF OUT DOOR USE. WEIGHT IS ONLY 6 OZ. INPUT IS SO-239 [UHF FEMALE]. ANTENNA CONNECTION IS 5 WAY TWIST BINDING POSTS. LDG 4:1 UNUN. 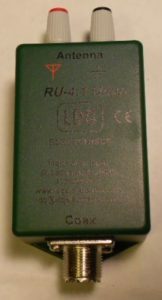 USE ON LONG WIRE, VERTICAL ANTENNAS.TO LDG TUNERS OR OTHERS. LDG DESIGNED THIS FOR THEIR LDG S9 SERIES VERTICAL ANTENNAS. 200 WATTS PEP, 1.8 TO 30 MHZ. WEATHERPROOF ENCLOSURE. 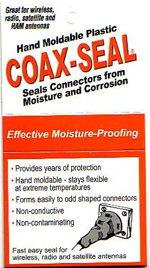 CAN BE SEALED FOR WATERPROOF OUT DOOR USE.